I want to join a soccer club, so i can get experience for my High School soccer team, but tese teams are really expensive, and my parents are in a lot of debt I don't want to put this on them. I love playing soccer, and I really want to play for a team so i can get better. 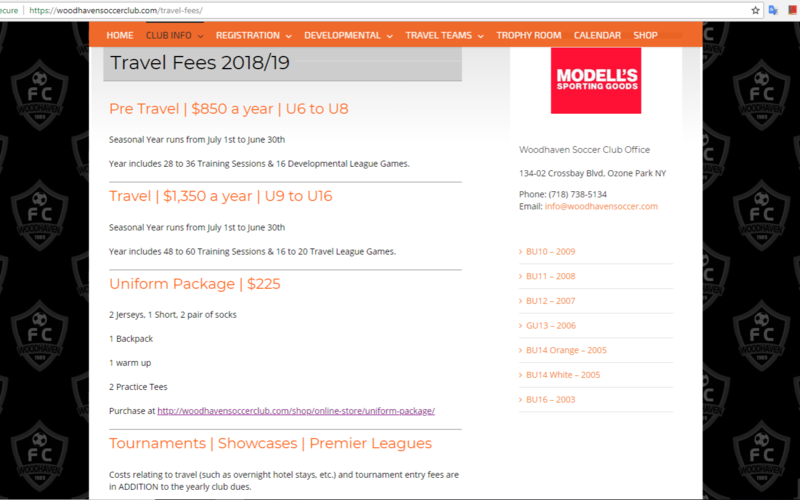 Woodhaven soccer club is expensive, like most teams are. $1,350 peryear and $225 for Uniform. Anything helps because I am looking paid internships for 16 year olds.